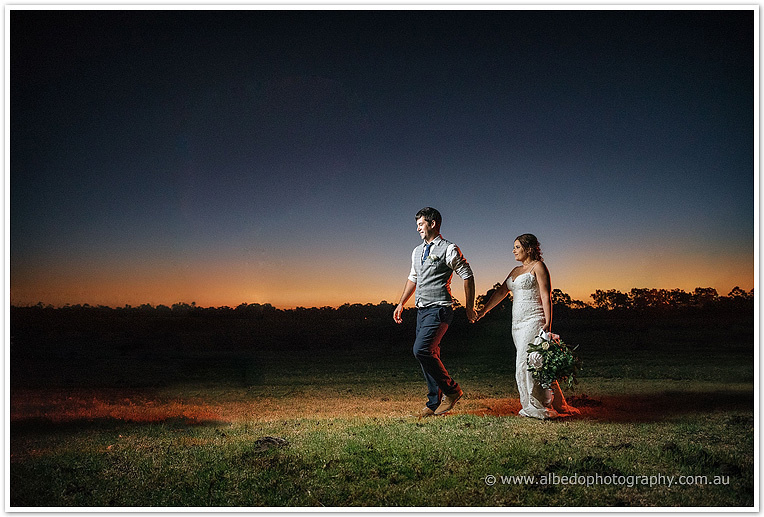 We had a great time photographing Cahlee and Stuart’s stunning farm wedding in Serpentine! We started the day with Stuart and the boys, his dad, the stuffed dragon from the shed, and also I must mention Stuart’s beloved car. Meanwhile the girls were getting ready at Crown Towers. The boys drove themselves to the wedding in Stuarts car, which luckily only just made it under the weight of all the groomsmen. Their ceremony was held under the trees at Cahlee’s Nanna’s property. Cahlee and Sturt had done an amazing job setting everything up, their were so many beautiful touches including the wooden signage, wheelbarrow with flowers and arch. Afterwards, the guests had drinks and canapés in front of the clear marquee as we wandered around the property for bridal party photos. 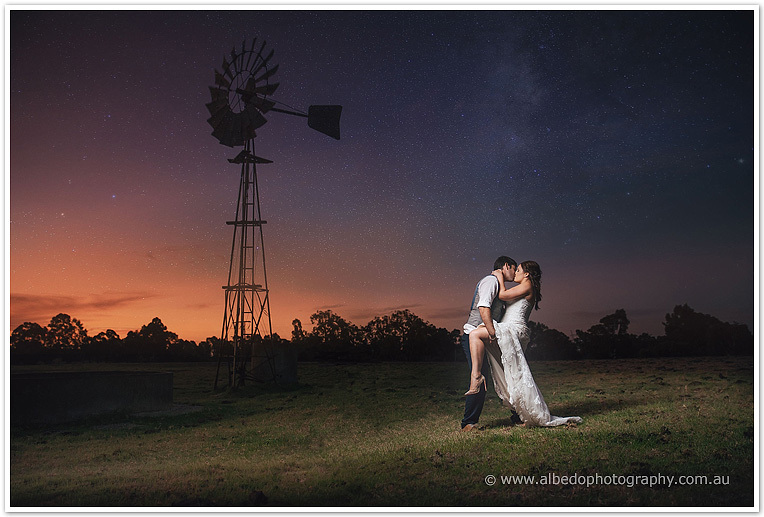 There were so many photogenic locations including a windmill, the red rocky outcrop leading to the dam, barns and sheds, a water tower and an old tractor. 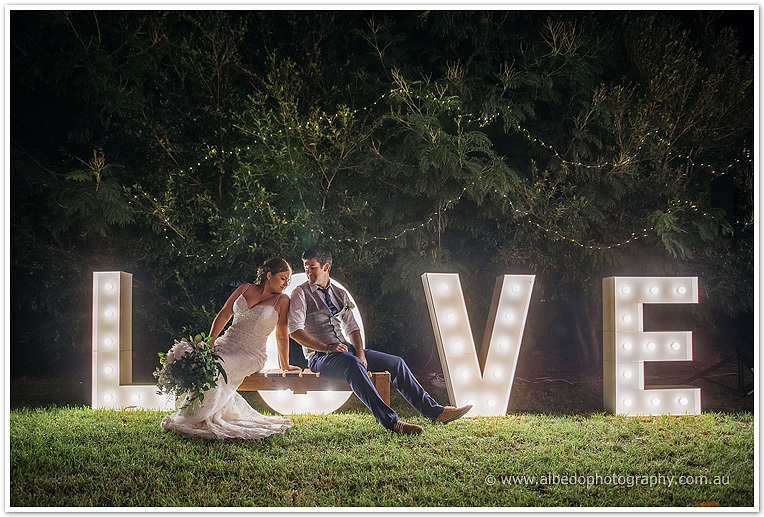 Their reception was held on a huge lawn area, in a clear marquee with a wooden bar and the beers in an old bathtub! It was there Stuart revealed the adventures they had got up to in Vegas :P After some very touching speeches and a great meal the celebration continued late into the night on the dancefloor under the stars. A big thank you to Cahlee and Stuart for having us along for your wedding, and for such a hilarious day!